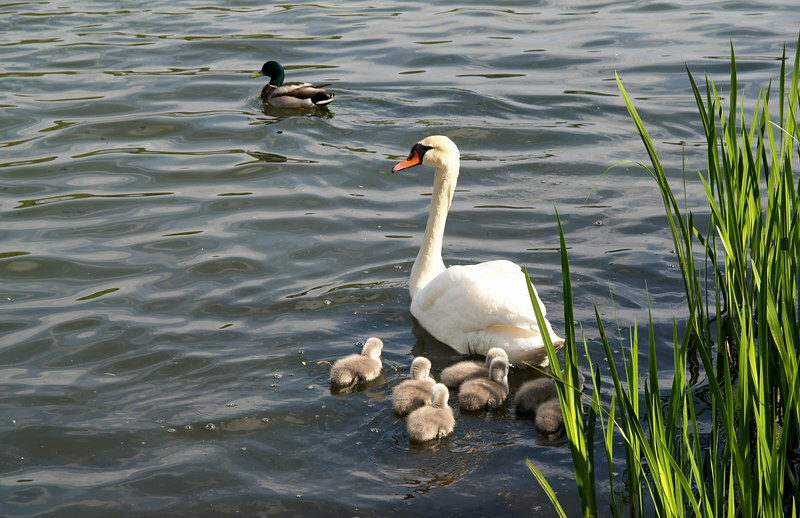 A mother swan and her seven cygnets. Photographed in Brede on the outskirts of Copenhagen, on Mølleåen (the Mill Stream). Mother swan and her seven cygnets, plus a duck who sneaked into the picture.